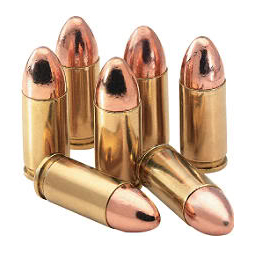 The Basic Pistol Training class is designed for those individuals who have very limited experience or knowledge with revolvers or semi-automatic pistols. The class focuses on the basic fundamentals of pistol craft and understanding the differences between these two types of handguns. The student will be provided with specific information to enable them to make an educated decision when choosing a firearm. Other information provided will be the functioning and components of a firearm and ammunition, the differences between firearm actions, brands, caliber and other information. It is the policy of the OCFT Academy to not only train the student to proficiently shoot a firearm, but to be highly competent with all aspects of the firearm they will be using. Click on the OCFT Academy logo to sample one of the visual training aids used in the classroom. The video demonstrates the cycling of a semi-auto pistol which is explained in great detail by the instructor. 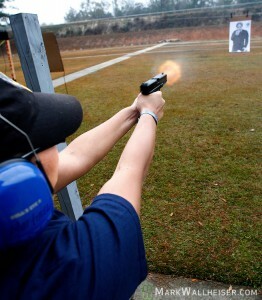 Training will cover both revolver and semi-automatic pistol, therefore, it is recommended to defer purchasing a firearm prior to course completion. REQUIREMENTS: Revolver or Semi-Automatic Pistol only. If you do not have a firearm for the class, do not purchase one as we discuss recommended firearms for concealed carry. We have firearms for rental.